The total number of participants was 640, and 88 out of the 640 were participants from abroad. Thank you very much for all of the vibrant presentations, discussions, and exhibitions! We are looking forward to seeing you again in Tsukuba next year. 2014/04/15　Updated Instruction for Presentations. 2014/04/07　Pre-registration has been closed. 2014/02/06　Abstract submission has been closed. 2014/01/14　Advance-Registration and Abstract Submission have been started. 2013/12/18　Updated Tentative Schedule & Program. 2013/07/16　Our website has been opend. 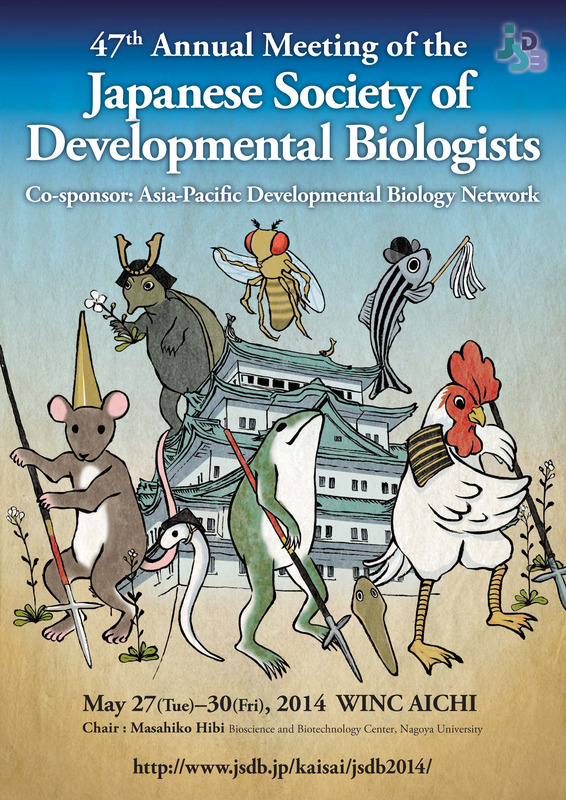 Copyright ©　2014 the Japanese Society of Developmental Biologists. All Rights Reserved.